It’s a night like last Saturday in Miami that makes fans realize just how brutal the NBA schedule can be. The Pacers went into Saturday having played less than 24 hours earlier and they were down their best player, Myles Turner. After losing to Portland around 9:30 p.m. on Friday, Indiana was forced to do post-game interviews, shower and board the team’s plane for a roughly three-hour flight to Miami. According to Scott Agness of “Vigilant Sports,” they didn’t land in South Beach until 4:00 a.m.
Indiana started the game at a disadvantage but only trailed by five at the end of the first quarter. Somewhere between the mid-second quarter and the beginning of the third, the Pacers seemed to run out of gas and the Heat opened a 19-point lead. 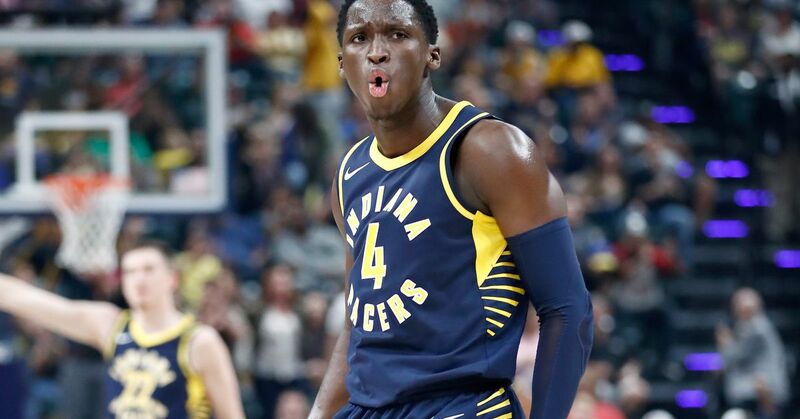 Luckily for the Pacers, they have their own personal energizer in Victor Oladipo. He played nine minutes in the fourth, scoring 14 points Oladipo pushed Indiana within one score with 30 seconds left but couldn’t get them to the finish line. The Heat, when they're fully healthy, are better on paper than the Pacers. But Miami was missing Hassan Whiteside, their best player. Indiana should have had a chance to win but the NBA scheduled them home/road back-to-back games, forcing them to travel 1200 miles between games. Back-to-back games are brutal for any team. No matter the level of luxury NBA players travel at (most teams have their own Boeing 747’s) or the shape they are in, it's hard to recover in less than 24 hours. The NBA season started two weeks earlier than usual because the players union and owners decided they needed to add more rest between games. Apparently, they still couldn’t still solve the back-to-back problem. Over the past three seasons, Indiana averaged .587 in regular games. But on the second night of their 46 back-to-back games, they have a record of 13-33. The trend of scheduled losses could hurt Indiana’s playoff chances. The first 20 games can be critical to whether a team makes the playoffs or not. On average 13.5 of the 16 teams that will make the playoffs have a top-eight record in their conference by the 20 game mark. The Pacers play six back-to-back games within their first 20 scheduled. They’ll play ten games against teams who finished last year with records of .500 or better. This does not include projected playoff teams like the Timberwolves and 76ers. The Pacers were never going to compete for a top-four seed but there was a possibility they could win 35 games and steal the Eastern Conference’s eight seed. But the NBA and its schedulers did them no favors and may have screwed them.